An estate of inheritance or freehold in land or interest in land can be created by a deed or a will in writing in West Virginia (36-1-1). An estate of inheritance can be defined as a type of freehold estate that may descend to heirs. Further, a freehold estate is a right of title to land and is characterized by two essential elements: (1) Immobility, which means that the property is either land or an interest that is attached to or derived from land and (2) Indeterminate duration, which means there is no fixed time period of ownership. In West Virginia, any person who has the legal right to own real property can convey such property by a deed in writing to another individual or corporation who has the legal capacity to receive such real property. All deeds must have a grantor and grantee. Those with the legal right to own and convey property or an interest in property in West Virginia are individuals, corporations, guardians, and attorneys in fact. Additionally aliens may take real property in this state by devise, inheritance, gift, or purchase, and are likewise able to hold, convey, devise, or otherwise dispose of the same property as if he or she were a U.S. citizen (36-1-21). Guardians will be appointed for minors under the age of 18, inmates, and protected persons involved in conveyances of real property. Grantors in West Virginia may convey their real property through the use of various legal instruments such as warranty deeds, quitclaim deeds and so on; however, any instrument which shows on its face a present intent to pass the title to, or interest---present or future---in real property will, if the instrument is properly executed and delivered, be given effect according to its manifest intent (36-3-4). A real estate deed in this state will not fail due to lack of conformity with the language used in sections five, six, seven, eight, or nine of article 36 of the West Virginia Statutes. 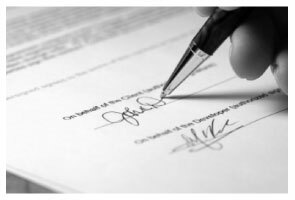 In order to present a real estate deed for recordation in the office of the county clerk, the grantor (or grantors) must sign the document and have their original signatures acknowledged or proved by two witnesses before such clerk of the county court (39-1-2). Additional requirements may also apply to the act of recording. For instance, real estate deeds must also include the name of the person or governmental agency which prepared the instrument. When presenting a real estate deed for recordation upon which tax is imposed, a Declaration of Consideration or Value should be attached either to the face of the deed or at the conclusion (11-22-6). This declaration needs to be signed by the grantor, grantee, or other responsible party familiar with the transaction. The form of the Declaration of Consideration or Value can be found in 11-22-6 of the West Virginia Statutes. Any person who delivers, accepts or presents any document for recording is subject to pay for a state excise tax upon the privilege of transferring title to real estate. In order for a real estate deed to be valid in West Virginia as against third parties, it needs to be recorded in the office of the county clerk in the county where the property is located. Every deed that is not recorded is void as to creditors and subsequent purchasers for valuable consideration without notice until the real estate deed is admitted for record in the proper county (39-1-2). Additionally, a contract in writing that is made in respect to real estate is, from the time it is duly admitted to record, valid as against creditors and purchasers as if the contract were a deed conveying the estate or interest embraced in the contract (40-1-8). If a real estate deed pertains to property located in more than one county, the deed must be recorded in all counties wherein the property is situated in order to be valid as to third parties (40-1-10). Joy V. said: Very helpful and efficient! Tammie S. said: No review provided.